After some discussion, Roy and I have altered our selection process. First off, the number of submissions we currently have puts us about 4 months out. That’s a solid workload. In addition to that we’ve received a few emails from authors asking when their script would be reviewed. This confused us for a bit (due to the thread with the schedule) until Roy realized that some of the people asking for reviews aren’t even checking our website. We were a bit frustrated to say the least. So we’re going with a new system, that’s really the lack of a system altogether. We both have a few projects we’re interested in and will still try to get them in order, but we’re also going to try to include those that are actively participating. I’m reminded of the Little Red Hen. As I now have a Golden Book I read to the kids, it’s quite a practical story being that everyone wants to eat the corn bread, but no one wants to help make it. The same can be said for our situation here. As I was telling Roy this weekend, we’re trying to establish a screenwriting community, and that community can only be as strong as its members. If folks are coming to the site, signing up for a free, in-depth review, and then only coming back once it’s done, there’s two problems that stand out. 1.) That’s selfish, and disrespectful of other members who are helping. 2.) Writers are truly hurting themselves because our notes can only take them so far. Roy and I have said time and again how worthwhile it is to read other scripts because they point out mistakes in our own writing. Therefore, we’re going to try and pick scripts from those folks that are on the forums discussing things, leaving comments, reading the scripts along with us, etc. Do you have to participate? No, and we will try to get to you. If you spam our message boards and comments section with one-liners will you get bumped up the list? No. What we’re looking for is honest participation that helps point us all in the right direction. Maybe it’s swapping script reviews with someone in the read section, or reviewing along with Roy or I once every week or two. We don’t ask you to give up much of your free time, but realize that if you truly are serious about your writing, know this is time well spent. In closing our goal is to establish a community, yes, but Roy’s also very persistent that it be a welcoming community. He had problems with other websites he was a part of early on in his writing where you got cut off at the knees for asking simple things like, “How do I write a slug line?”. 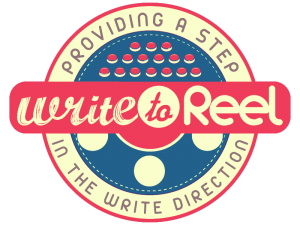 Write to Reel will not be like that, and as all writers start somewhere, this will be a screenwriting learning experience where there are no stupid questions. When a small town firefighter suffers devastating injuries during a heroic rescue, he undergoes an experimental procedure where his healthy brain tissue is transplanted into the body of a death row inmate and he wakes from a coma to realize the fight for his life has only just begun. Jack Fletcher, a married man, still coming to terms with the manslaughter of his only son and diagnosed with a terminal brain tumour, sets out on a trail of murder and revenge. But nothing is as it seems. Jeff is a college student whose parents where killed on a missionary type trip in Guatemala during a genocide that took place in the early 80’s. Jeff blames their death on General Diaz, a brutal ex-dictator who plans to run for president of Guatemala in present day. It Comes At Night – Horror Thrillers should be spooky…and thrilling!